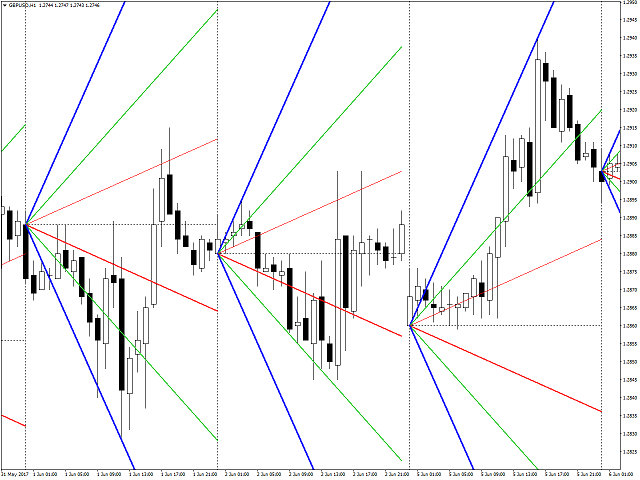 The indicator displays Gann lines for one day. It works only on the timeframes smaller than daily. 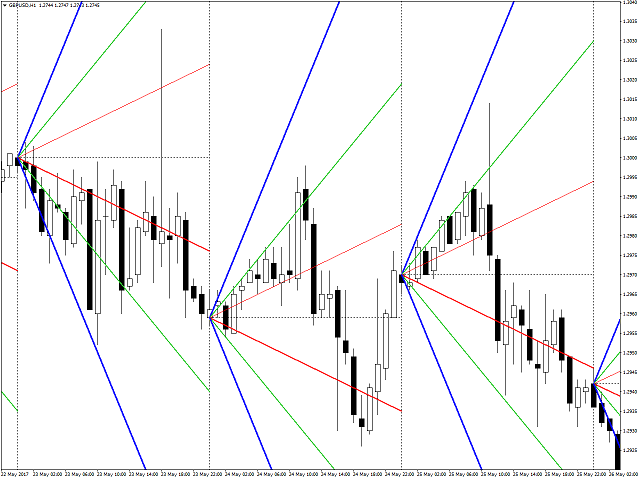 Count_Bars - the number of daily bars to display the Gann lines. If set to 0, they are displayed for all the available history bars. I use this to confirm my trading plan. Good tool.